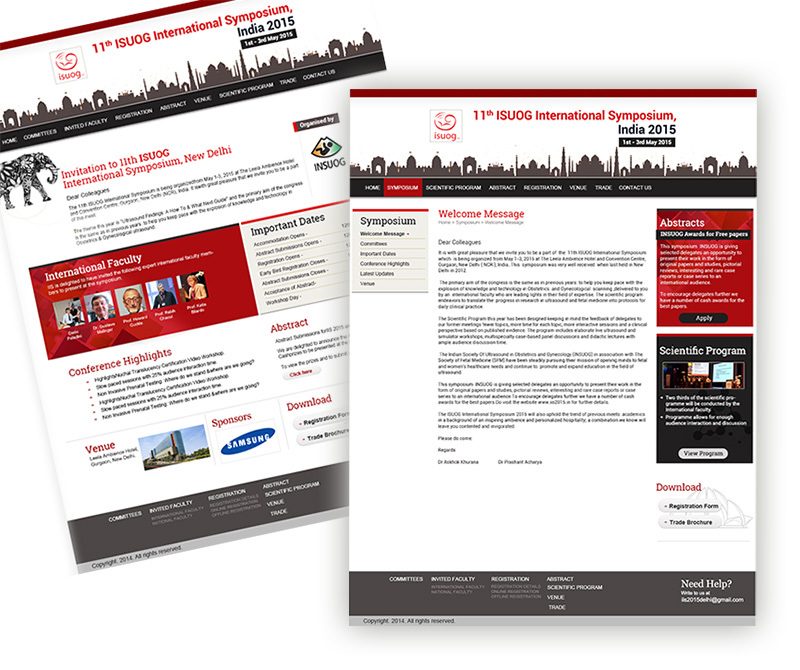 After our much appreciated website design for ISUOG International Symposium held in 2012, we were again approached by the Executive committee to design the website for the ISUOG symposium to be held in 2015 in New Delhi. Our creative team designed a clean and professional website taking the ISUOG brand colors and keeping in view the scientific nature of the conference. The design was responsive, built to seamlessly work on mobile phones, tablets and big screen sizes and it ran on Wordpress. 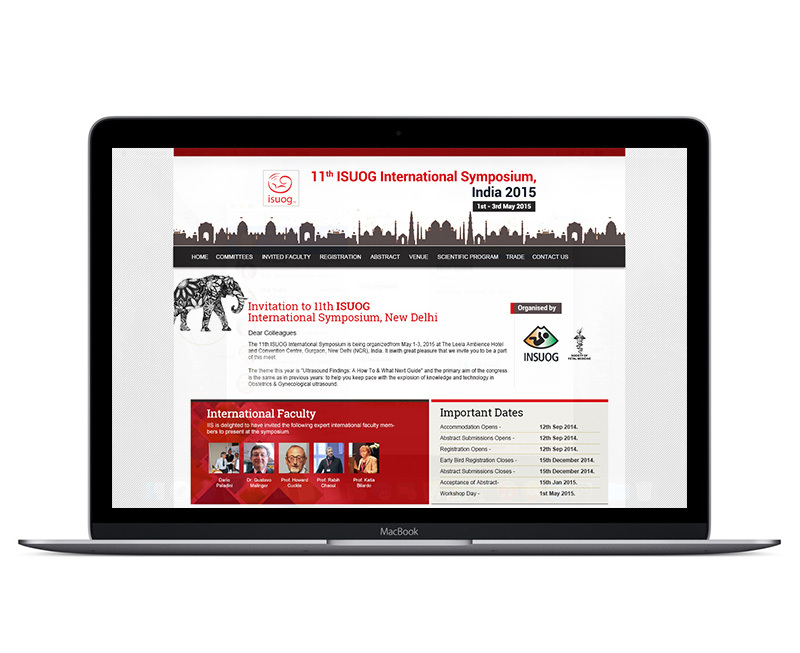 Special care was taken to carry forward the ISUOG Symposium 2012 websites overall brand and still conceptualize a fresh website design. An extensive Abstract submission module was programmed with features to review abstract and communicate back with the submitters. Grey Coconut Designs team has an expertise in designing websites for medical conferences in India and we offer a turnkey solution from website design, database development, content management system, delegate registration forms, payment gateway integration and website maintenance. We have successfully launched websites for ISUOG International Symposium in 20123 and the AICC RCOG NZ's annual conference in 2013.